LG Revolution Pops Up at FCC, Can it Beat the Thunderbolt to Stores? 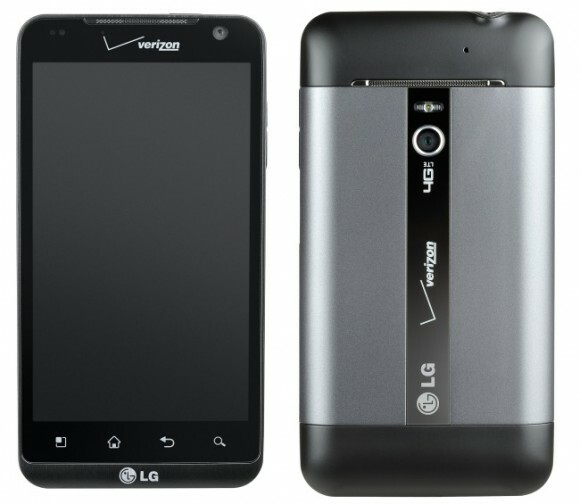 The LG Revolution (LG-VS910) popped up over at the FCC and the rumors are ready to start flying on when we might see this 4G LTE device from Verizon. With so many Thunderbolt “delays,” we’re wondering if the Revolution and Samsung’s 4G device might end up hitting stores first? We generally assume that if a device passes through the FCC, that it will be out soon, but that could mean 2 or 3 months from now. Want a recap of this phone? (Our hands-on) Qualcomm Snapdragon 1GHz single-core processor, 4.3″ screen (not Super AMOLED Plus or Super LCD), HDMI-out, 16GB internal storage, Android 2.2 (mostly stock), and front/back cameras. Not overwhelmingly impressive, right? We really wished they had snuck in a dual-core processor into this phone at the last minute, but that is pretty unlikely. The good news is that it could be the first Android phone with Netflix support!